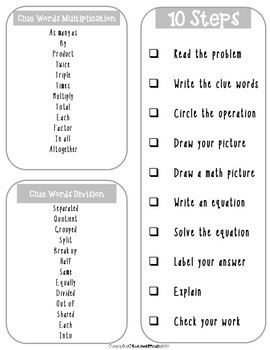 Solve a multiplication or division word problem using ten steps! 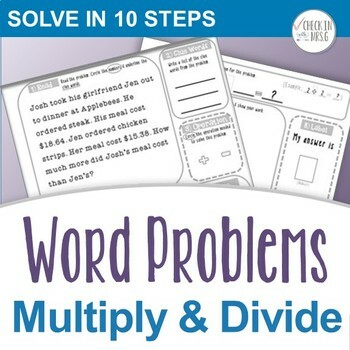 This workbook is designed to scaffold the steps to solving a word problem and support struggling students in developing their math reasoning abilities. It is great for math intervention, tutoring and special education students. 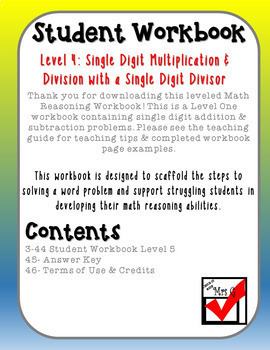 This product contains a forty-page student workbook, answer key, teaching guide, and visuals. 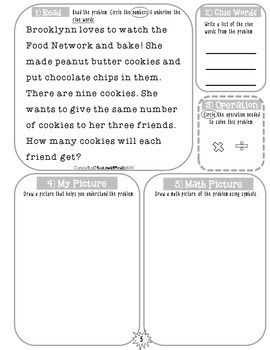 The student workbook pages can be used in one session or broken up over multiple sessions to accommodate individual student abilities.